Success of iPhone app causing servers to cry? 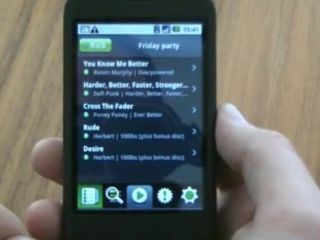 Spotify has been forced to move back to invite-only mode after the success of its mobile applications. The new programs have only just been released for the iPhone and Android platforms, but it seems the huge demand has seen unprecedented growth for Spotify. Andres Sehr of Spotify said on the official blog: "I wanted to quickly let everyone know that due to the huge demand in the UK over the last few days since we launched our mobile service, we are going to have to temporarily reinstate our invite system in the UK. "We are invite-only in all our other launch countries but we hope to be able to remove the need for an invite again very soon. Premium users will of course still get instant access as per usual and all current users will be able to use Spotify as normal!" However, if you're already a user, you can invite your friends to use Spotify (just like in the olden days). And don't worry, Spotify won't be losing money - if you're that desperate for an account you can sign up for the premium option still. We've contact Spotify to see why this has happened and when the invite block will be lifted, so we'll let you know as soon as we do.